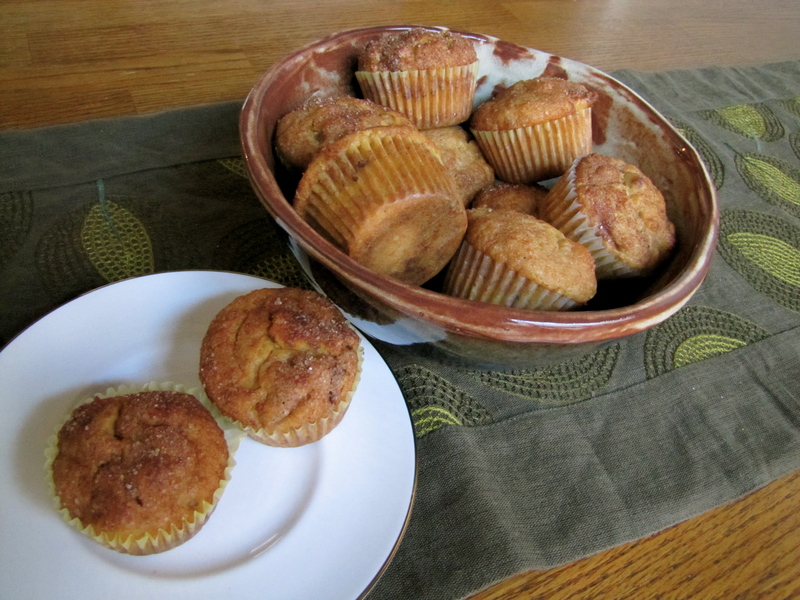 Cinnamon Crunch Sweet Potato Muffins – Voila! If the popularity of these muffins were a function of the time and frequency in which they were devoured, then I’d say we have some really popular muffins (can’t you tell I’m good at math?) on our hands. On average, James ate two a day. They are moist, sweet without being overpowering and an all-around, any-time-of-day kind of muffin. Dig in! 2. To make the muffins, mash yams in a small bowl and set aside. 3. In a small bowl, stir together the flour, cinnamon, nutmeg, baking powder and salt. 4. In another larger bowl, combine the eggs, sugar, oil, milk, maple syrup and orange oil and whisk vigorously for 1 minute. 5. Add the mashed sweet potatoes and beat until completely blended. Add the flour mixture and stir until just evenly moistened. The batter will be slightly lumpy. Using a large rubber spatula, fold in the pecans until just evenly distributed, no more than a few strokes. Do not overmix. 6. Spoon the batter into the prepared muffin cups, filling them three-fourths full. Sprinkle with the topping, dividing evenly (you’ll have leftover cinnamon sugar mix. Put it in a baggy for later use). Bake until the muffins are golden, 18-20 minutes. Transfer the pan to a wire rack and let cool for 5 minutes. Unmold the muffins. Serve them warm. Makes 12 muffins.